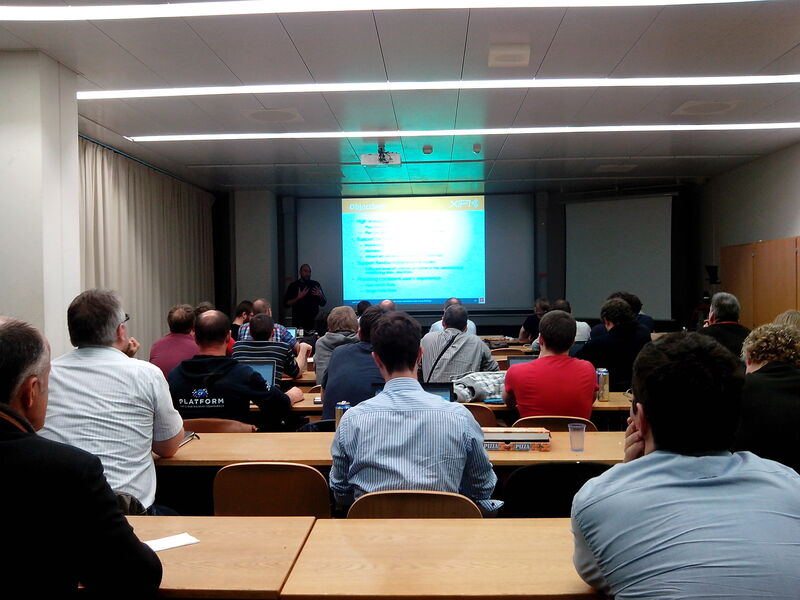 This fifth edition of the OpenStack CH User Group has been dedicated to the networking aspects of OpenStack but not only. 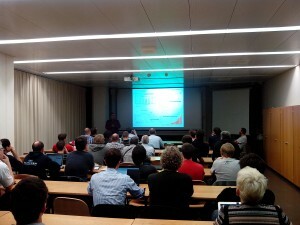 Sergio Maffioletti (GC3 project director, University of Zurich) gave a short welcome before the presentations started. The talk encompassed this topics: Traditional Networking – refresher, OpenStack integrated projects big picture, Why OpenStack Networking is called Neutron now, Networking before Neutron, Nova-Networking, Drawbacks of Nova-Networking that led to Neutron, OpenStack Networking with Neutron, Neutron Overview, Available Plugins, Neutron Demo and Neutron – State of the Nation. 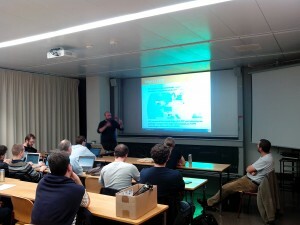 Markus Brunner gave an introduction to Network Function Virtualization and how Swisscom sees how its implementation in the service chain could help to overcome the increasing traffic vs. decreasing customer fees dilemma, by offering value added networking virtual services (firewall, IP-TV, …). Another major aspect is to minimize the number of different hardware boxes by using virtualized components running on cloud infrastructure and reduce vendor lock-in. 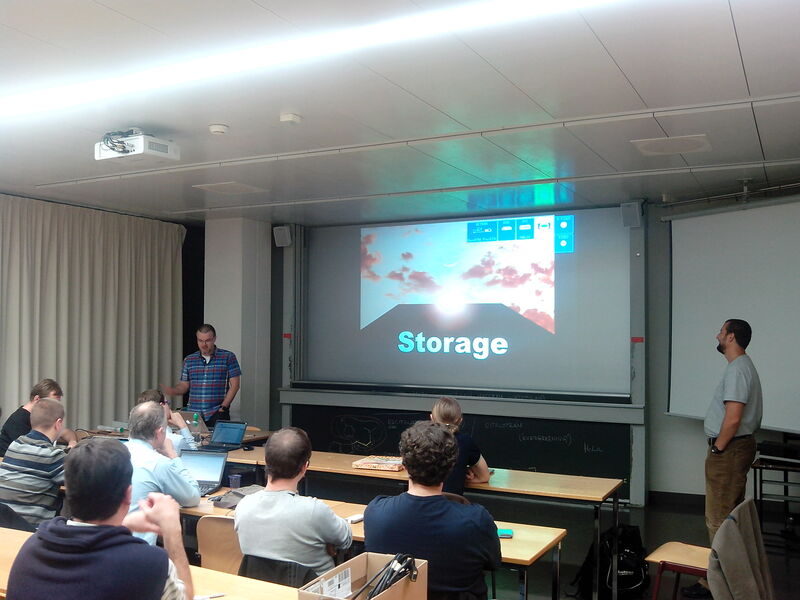 Federico gave a presentation on the XIFI project, XIFI architetcure and Infrastructure TOOLBOX which has the objectives of automating the installation of host operating system, hypervisor and OpenStack software through the Preboot eXecution Environment (PXE). The TOOLBOX also defines and selects a deployment model among the ones available and discovers the servers where to install the software. XIFI federation allows to specify a “role” (controller, storage, compute etc) for each server and makes set up & network configuration (vlan etc), supports registration of the infrastructure into the federation and finally tests the deployment so to verify that everything has been installed correctly. 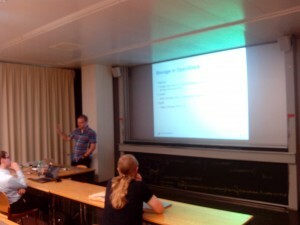 The presentation gave interesting hints on Ceph Design Goals, Ceph Storage options, Ceph architecture, CRUSH Algorithm, Monitor – MON and Metadata Server MDS. 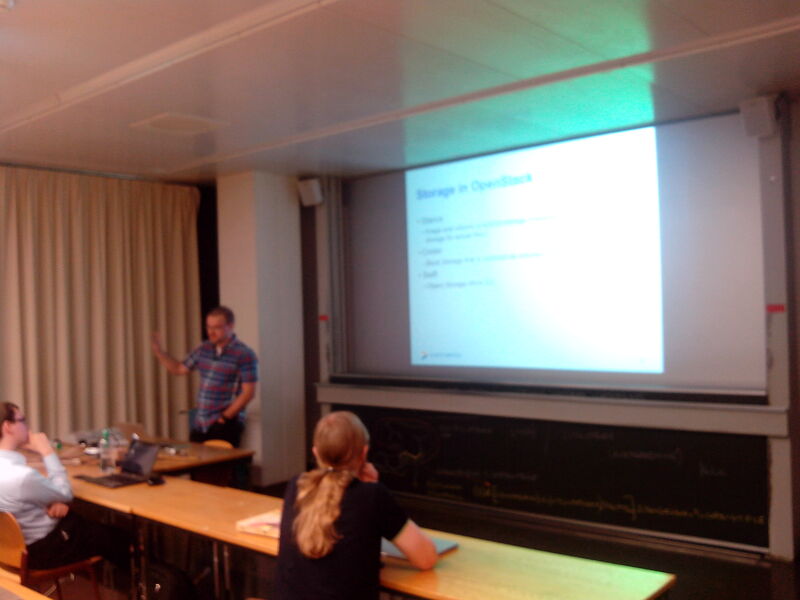 Jens-Christian then concluded with information about OpenStack at SWITCH and Test Cluster. 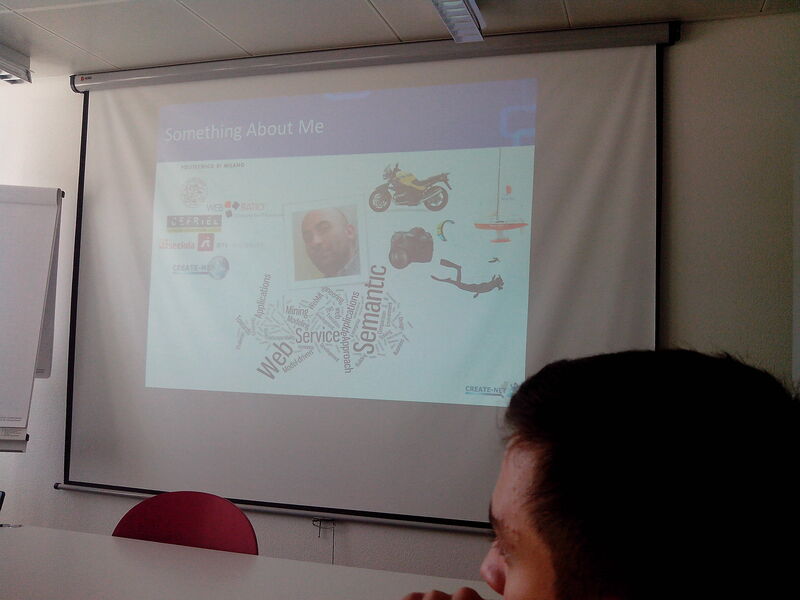 ICCLab invited Federico Facca, from Create-Net, to give an overview of the research activities, of his lab, and relevant projects in execution. Around two hours were dedicated to this event to exchange reciprocally information about the activities and innovation interests. CREATE-NET, headquartered in Trento – Italy, is an international research center which operates as a non-profit association and with a mission to built around four key points: Achieve Research excellence in ICT, promote technology & innovation transfer and have a focus on key application areas and services. 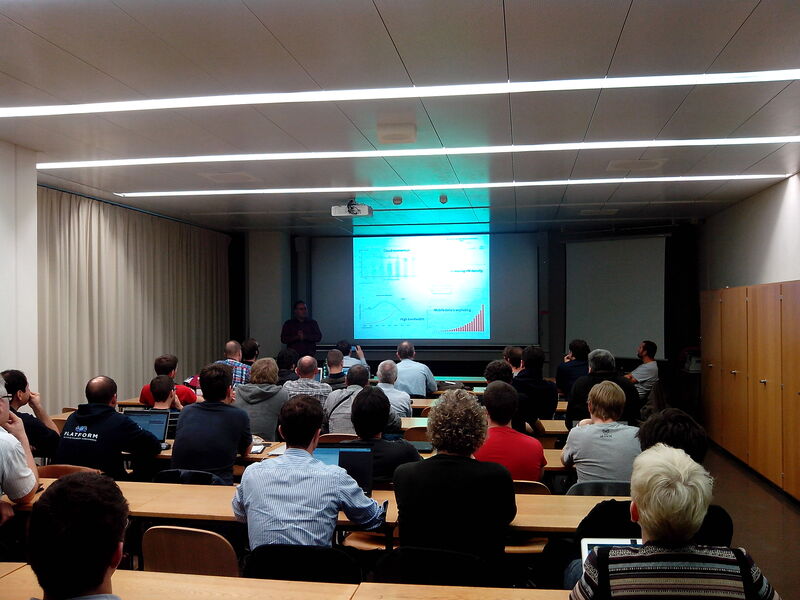 One of key goals is to provide significant benefit to the Autonomous Province of Trento. It is mainly structured in the following application domains:Intelligent transportation and sustainable mobility, Interactive and mobile social media, Smart Energy Systems and Well being and e-health. After this introductory speech, most of the time was dedicated to the FI-PPP XI-FI project and Mirantis FUEL tool that is used to automate the introduction and configuration of new nodes in the federated cloud XI-FI. 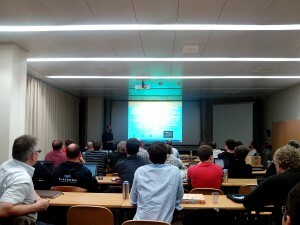 Mirantis opened its private library, of configuration and deployment tools for OpenStack, to the public. The library, called FUEL, has already been used in many OpenStack projects that the company completed for its business customers. ZHAW ICCLab is very interested in Fuel because it will be used in its datacenter. The event was concluded with a round table with introduction of reseach interests and projects by each researcher of ICCLab. 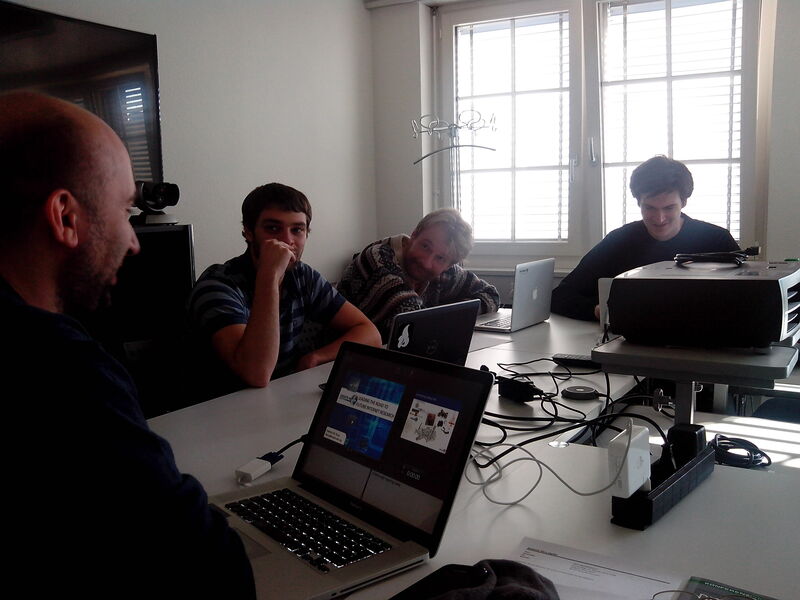 ZHAW ICCLAB and Create-Net are contributing to the FI PPP programme with their participations to FI-WARE and XI-FI respectively. Nevertheless, both the organisations are participating to the CONCORD supporting and coordination action of FI PPP.